Deliciously fragrant Madame Isaac Pereire accompany Bonica roses and honeysuckle, and paddock views blur the garden’s boundaries. 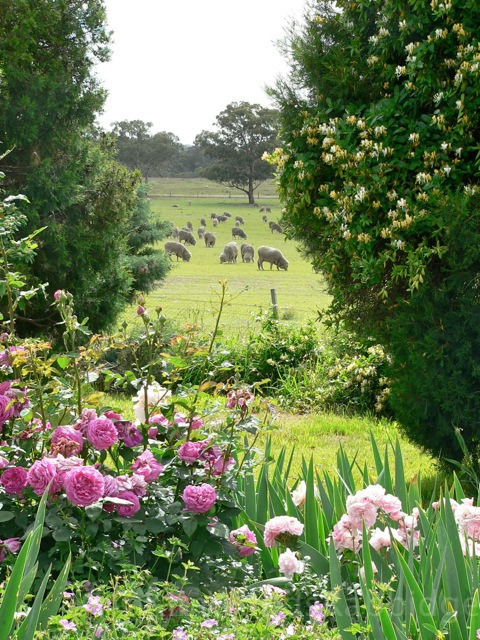 Loloma garden, developed over forty years by David and Ann Moran has been a favourite for many. Spectacular seasonal displays were rewards for decades spent developing nutritious soils and shady retreats, in their well designed country garden. 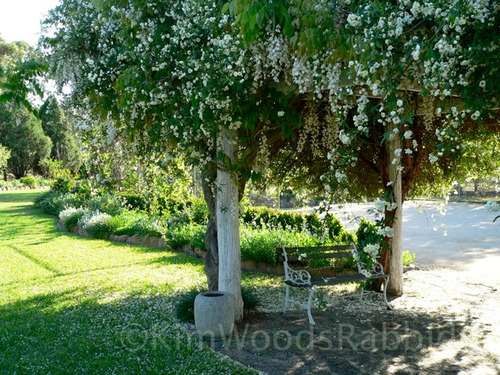 Above, the banskia rose mingles with wisteria over the trellis in an area illuminated with white blooms. From the outside: the secret garden is actually quite well hidden! 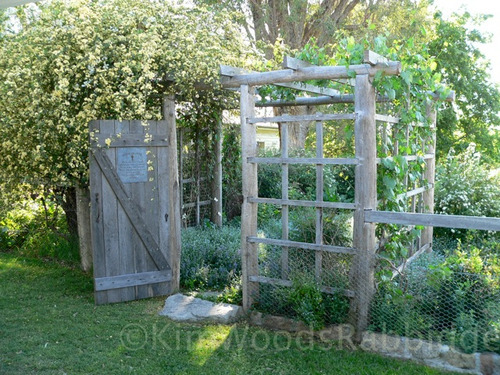 In spring ornamental grape and yellow banskia rose trail over the structure, and naturalised forget-me-knots form a carpet. 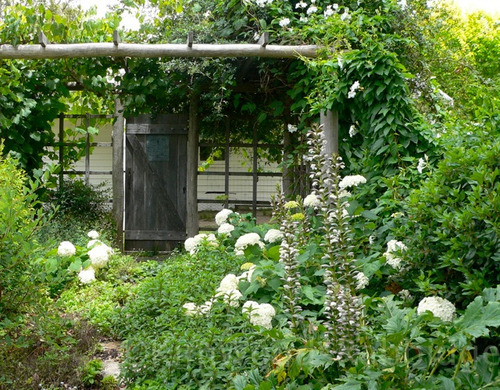 From the inside: in summer, climbing fragrant white Mandevilla laxa mingles with hydrangeas and acanthus in the secret garden.